What is Swaying Palm Tree Pose? Swaying palm tree pose, or tiryaka tadasana in Sanskrit, is a beginner's standing posture and variation on palm tree pose. 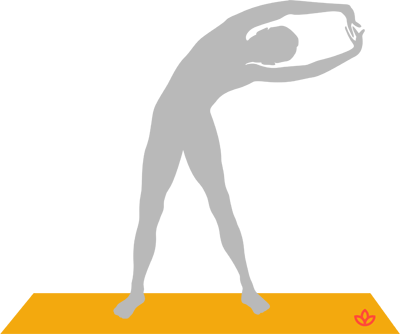 With the legs a little wider than the hips, the practitioner reaches interlaced hands toward the sky and bends to the side. The pose opens the side body while stretching the intestines. Stand with the feet wider than the hips. Interlace the fingers. Inhale and reach the palms toward the sky. Exhale and bend to the right. Hold for a moment. Inhale and return to center. Change sides.